Changes and improvements are coming to the intersection of College Avenue and Campus Road. Later this summer, or maybe in early fall, the borough will install a new stop sign at the intersection, along with crosswalks for pedestrians. This came about after discussions that borough Police Chief Jack Mentzer had with Mount Joy Township officials and representatives from Elizabethtown College (full disclosure: My wife is an employee of Elizabethtown College). He said the intersection has become much busier, especially with the construction of Bear Creek School. I can speak from personal experience as I have been through that intersection dozens of times in the past two years taking my son to and from school and activities via Bear Creek Road. When I'm returning home, I am looking to turn left onto College Avenue. It can be tricky to figure out if a vehicle is turning right to head out of town on Campus Road, or will continue straight into the residential neighborhood. Mentzer said this has lead to some near accidents. College Avenue onto Campus Road. 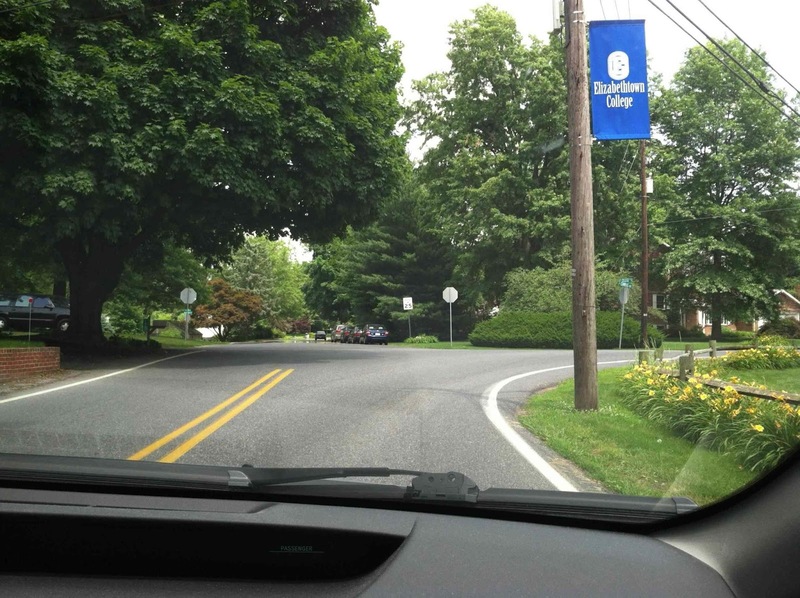 To alleviate this, the borough will install a stop sign except for traffic turning right to head onto Campus Road. This will ensure that vehicles headed into the residential neighborhood will stop, making it safe for motorists to turn left onto College Avenue. 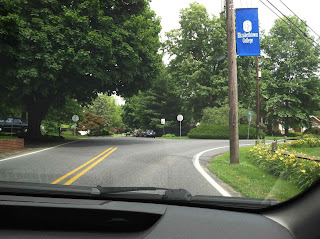 In addition, the project will include crosswalks for pedestrians, and Mentzer said that Elizabethtown College will install a path from its existing path to the intersection. My wife and I have some friends who live in the neighborhood and frequently walk to the college, so I know the addition of crosswalks and the path will be a big improvement. My son also regularly rides his bike there, and my mind will rest easier knowing the instersection is a little safer. It's a simple intersection and sadly peoples lack of driving skill's require more stop signs and lights. Yes, but the intersection is clearly busier with the opening of Bear Creek School. And if we can make it safer, then we should probably do it.